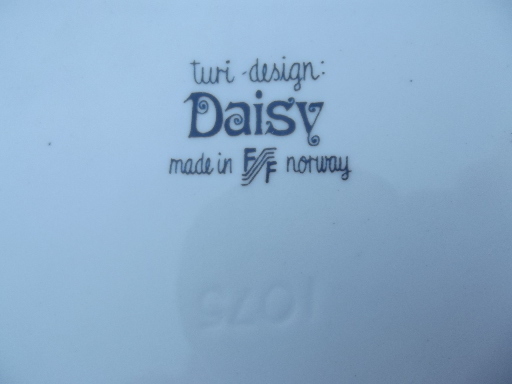 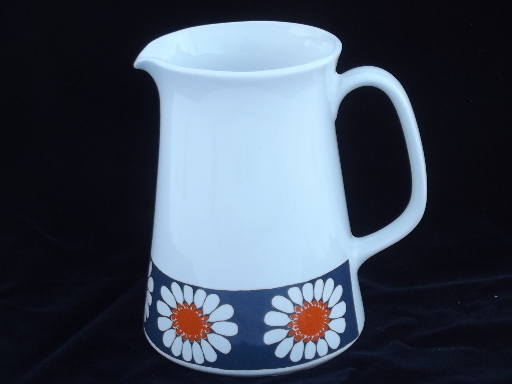 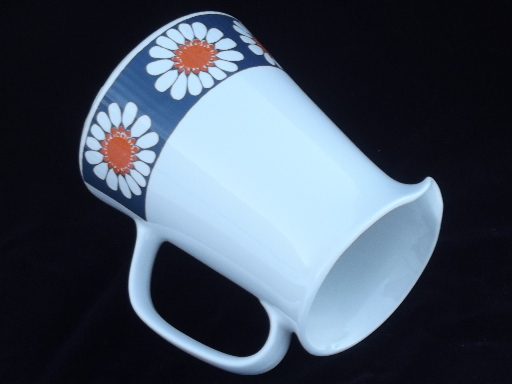 Vintage Turi design - Norway ceramic pitcher in the Daisy pattern, very retro! 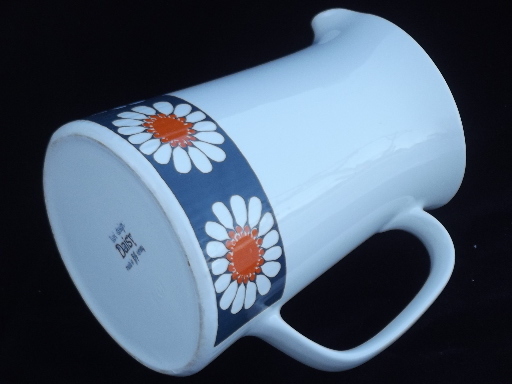 Measures 6 1/2" tall. 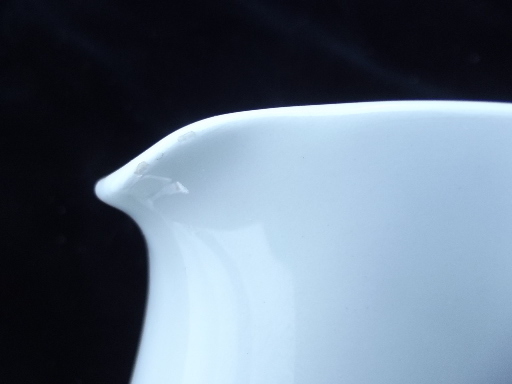 There&apos;s a tiny chip to the spout, barely noticeable as it&apos;s white against the white background.